This week it’s all about a simple, easy breakfast. Start with whole grain toast and spread a layer of ricotta (I have experimented with fat free, but I feel like with ricotta, full fat is the way to go). Drizzle some honey (if you have local honey, you can call this an allergy-fighting food). 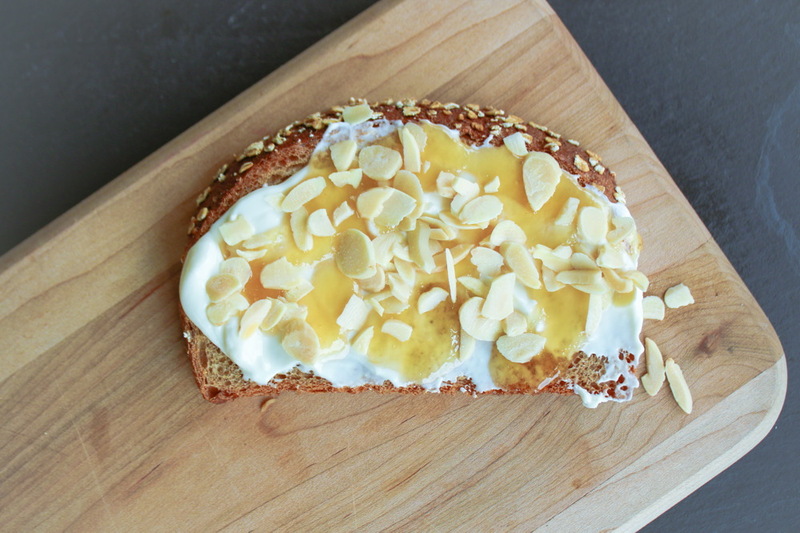 Finish your toast off with a tablespoon or so of toasted almond slivers. Sweet, creamy, and crunchy – what more could you ask for?